Since 2017 we have had an annual competition among our congregations to see who can raise the most funds to support the work of the Missionary Society on our global mission to make disciples of all nations and teach them all that Jesus commanded. Thus far, the First Hopkinton SDB Church in Ashaway Rhode Island has brought home the trophy each year. They have a spot picked out in their entryway for all to see that they have earned the Global Supporter Church award. Can your congregation make them redecorate their foyer? Clinton Brown presenting the 2017 award to David Stall, the pastor of the First Hopkinton SDB Church. Churches are invited to support this special Church Fund Raising Campaign March 15th – May 15th, 2019. 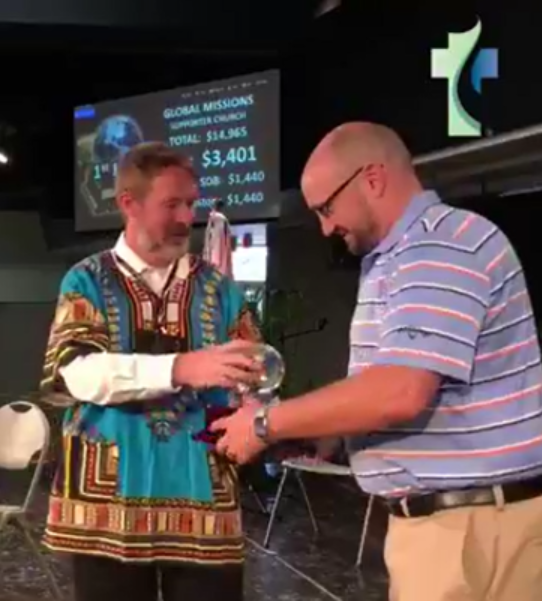 The goal is to raise $40,000 for missions ministry. Each church is encouraged to target raising a minimum of $1,000. Here are a few possible ways to raise funds: (1) Dinner at the church, (2) Slave auction of youths to do yard chores at members’ homes, (3) Bake sale, (4) Rummage sale, (5) Auction, and (6) Weekly special offering. 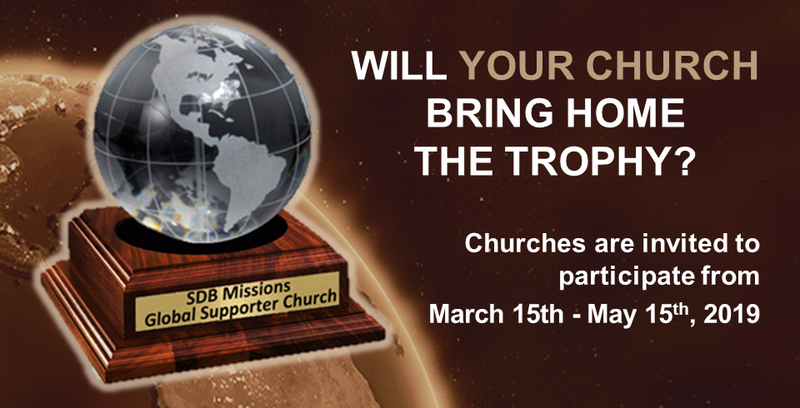 This is a chance to work together & share in the mission, trophy or not. We look forward to hearing how you raised funds and promoted Christ in your community. 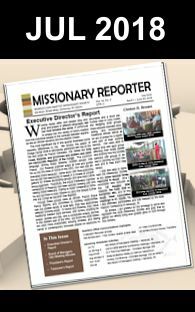 The Church with the largest contribution to this FUND RAISING CAMPAIGN FOR MISSIONS will be recognized at General Conference.